As some of you may know from my Why Veganism Is For Me post, I finally went vegan on April 6, 2018! For a couple of years before that, I had been about 70% vegan, but I finally made the switch to being 100% vegan. Before I finally decided to make a change, I decided to do some research. I found a lot of different resources that really inspired me and pushed me to turn my vegetarian lifestyle into an ethical vegan lifestyle. Today I thought I would share some different kinds of resources for going vegan. There are so many great resources available that provide lots of education, information, and facts about how going vegan can not only save animals, but also help the environment and have a positive impact on our own health. Websites that promote veganism are a good place to start. It’s definitely where I started. They provide so much information about being vegan and the reasons for being vegan. There are so many websites that I spent good time looking through to really educate myself on how being vegan (in all aspects of life) is the best thing anyone can do for themselves, for the environment, and for animals. These are some of my favourite websites that provide a great deal of information, facts, recipes, resources, and more. 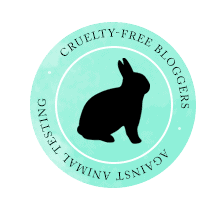 There are so many amazing vegan blogs on the Internet! I honestly can’t even begin to list them all. There are vegan lifestyle blogs, vegan food blogs, vegan activism blogs, and so much more. Vegan blogs are great because you get to read about someone who follows a vegan diet, and who’s living a vegan lifestyle, and how it is for them. One search for “vegan blogs” on Google will bring up a ton of different vegan blogs. They’re all unique, valuable, and helpful in their own way. There are so many vegan Youtubers — from all walks of life! Check out some of these! I love documentaries! I find them so inspirational and educational. What I really love about them is that they expose things that we wouldn’t normally see — like factory farms and the constant abuse and suffering that animals raised on these farms face every day. Without the people who go undercover and speak out against factory farming, very few people would know what actually happens. There are numerous vegan documentaries that expose not only the animal abuse on factory farms, but also the living conditions of the animals and the consequential health effects of eating meat, drinking dairy, and consuming eggs. These are some of the best vegan documentaries, in my opinion, that show the truth and provide so much information. I will say, however, that some of these are pretty graphic, but it’s important to know why being vegan is the best thing for animals and our own health. I really hope this blog post is somewhat helpful to those of you who may be contemplating going vegan. Veganism is still relatively new to me, but having a lot of resources at my disposal and being able to connect with other vegans is so helpful and inspiring. Consuming anything from an animal is just not worth it because of all the negative effects on animals, the planet, and our own health. Animals are worth far more than our taste buds and we don’t need to be using products that contribute to animal suffering. Animals are sentient beings who deserve nothing but happiness, love, and freedom. They don’t deserve to be used, abused, and murdered — and we have no right to do that to them. Next Post Mani Monday | White Hot! Thank you! I really hope it’s a bit helpful for anyone who’s interested in going vegan!